WINSTON-SALEM, N.C. (AP) — NBA All-Star and former Wake Forest guard Chris Paul is donating $2.5 million in support of the Demon Deacons‘ basketball team. 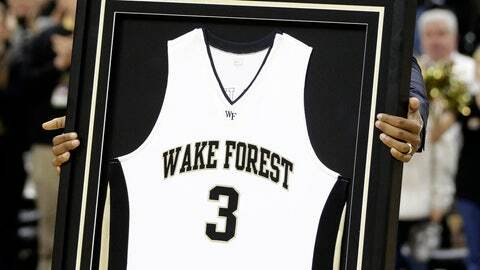 The donation announced Tuesday is the school’s largest by a former Wake Forest basketball player. School officials say it will assist a project to expand and enhance the men’s and women’s locker rooms, and the men’s locker room will be named for him.